Andrew Leigh: Five science breakthroughs that will transform politics: #1: Driverless cars, #2 Space elevators. This is via Robin Hanson who discusses Ems. David King deconstructs: Land Use Regulations, School Quality and Metropolitics, noting that school quality is not somehow fixed if you change the neighborhood. The City of Minneapolis is promoting Streetcars in a number of corridors, including one in North along Broadway to compensate for the rerouting of Bottineau LRT to avoid North. 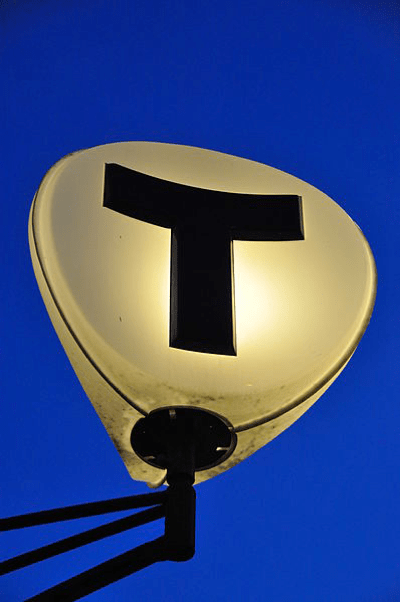 Promoters of Minneapolis Streetcars, including Mayor R.T. Rybak, are engaged inmagical thinking in their assertion that streetcars will have transformative effects. Famously, Minneapolis and St. Paul saw their streetcarsbustituted by 1954, and many mourned their loss. But Minneapolis and St. Paul were not alone. Streetcars were obsoleted worldwide. We don’t go to London to visit their famous double-decker streetcars (at least not since the 1920s). We don’t see them in New York or lots of other world cities. There are reasons for this. Streetcars are overall a less effective means of transportation than buses. That is, centrally-powered steel wheels on steel tracks in the middle of traffic are less efficient across most dimensions than self-powered rubber tires on streets in the middle of traffic. Let’s go at these in reverse order. The simple fact that after 1954 there were no more streetcars in the Twin Cities belies their permanence. Yet on almost every former streetcar route, today we see continued bus transit service indicates that it is the service that is permanent if the demand is there, not the physical instance or particular technology. We can further look at the built form of cities which have made significant commitment to bus rapid transit (Ottawa, Curitiba) to see evidence of development following the service, not the technology. BRT of course is more comparable to LRT if it runs in its own right-of-way. Arterial BRT is more like streetcars. According to a report published by the Transportation Research Board, the link between land development and streetcars has not been substantiated by empirical evidence. Most of the evidence that does exist comes from project promoters or advocates, who obviously have a stake in the outcome. In the 1880s and 1890s when the first generation of streetcars were built, they provided a huge increment of accessibility over competing modes (walking, horse). Today, they provide no increment of accessibility over cars and buses. They allow no one to get anywhere faster than before. The entire argument rests on qualitative improvements. The navigability problem with streetcars is solved by the oh-so-attractive wires in the air and tracks on the ground, which tell you where the service is going. Buses on undifferentiated blacktop have no such obvious signals. In one sense this is correct, Twin Cities buses are not obviously navigable, and I have railed at this before. 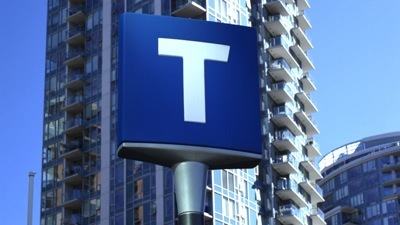 But again, this is easily solved with better signage, and more importantly, tall lights with “T” on them as in the adjoining images from Vancouver and Stockholm, lights which can be seen from several stops away. The ride quality issue I think is more one of new infrastructure than of streetcar infrastructure. In the waning days of streetcars, people praised the new buses (presumably on relatively new streets, for from what I can tell, almost nothing in Minneapolis has been resurfaced since the middle of the last century) for their ride quality. The Trolley Song speaks to the smoothness of the ride. For a young romantic, even a bus can be idealized. For the regular commuter or the harried shopper, bump, bump, bump is far from romance. The operating cost question is partially correct. Clean electricity powering a streetcar will save energy and reduce environmental impacts compared to a diesel, or even an electric, bus in traffic. We do not have clean electricity (yet) in the Twin Cities in general, so while the energy claim may remain, the environmental one is weak at best. The labor argument may also hold if you have a long streetcar that carries more passengers per driver than a bus. Germany has double-decker buses that hold 128 passengers (wikipedia), while streetcars by Skoda hold 157 (wikipedia), as with all things, it depends on configuration, but it is not the knock-out punch. And it is only critical on routes with that level of demand, at times with that level of demand. And if to achieve that demand, you lower frequency, you are worsening service. Offsetting the operating cost advantage is the major capital cost disadvantage. Buses can effectively free-ride on streets paid for out of property and gas taxes, while streetcars are responsible for their own tracks (and BRT on exclusive right-of-way similarly are responsible for their own pavement). Does the $100 or $200 million dollars spent per line garner any new passengers? Are the existing passengers qualitatively better off in a way that they would actually pay for? Is the trip any faster? If the service is indeed better, it should be able to charge a premium and retain its customers. Further offsetting this is scale economies. We have, and will long have, lots of buses. At best we will have a few streetcars. The buses will have lots of people working on them, a collection of spare parts, expertise, and so on to keep them maintained efficiently. Streetcars will, especially at first, be rare, without the library of spare parts, without the staff maintenance expertise, and without any of the other advantages of buses. Either costly redundant vehicles will need to be provided, or the system will be “out” more frequently than buses. The Twin Cities in the last decade has invested in two new rail technologies (commuter trains and LRT), neither of which are cheap. A third seems to add to the system complexity with few advantages. Like magicians, streetcar promoters are engaging in diversion and distraction, attributing all success to streetcars and covering up the mistakes. The benefits of streetcars are illusory, the costs are real. The Twin Cities does like its toys: new stadiums, trains, convention centers, and the like are the most egregious examples. If money were free, this would not be a problem. Where I live, money is not free.